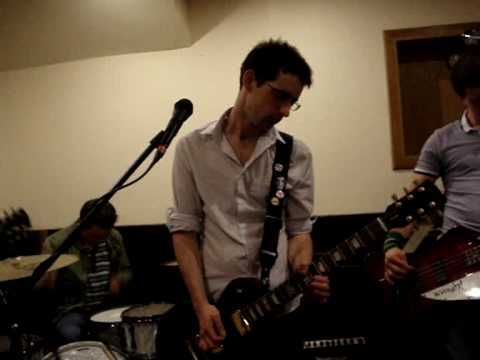 nova static are an alternative rock act based in laois. dara comerford (drums), daniel heffernan (guitar & vocals), brian scully (guitar) and stephen wall (bass) got together in late 2006.
since then, countless gigs, hundreds of miles, hazy memories, lofty ambitions, new friends, mortal enemies, broken promises, shattered hearts, hibernation, inspiration, good times, bad times and things they can’t mention have shaped nova static into an eight legged pop-rock behemoth. 2010 saw the release of nova static’s self titled debut e.p.. four tracks of love, loss, piracy and possibly gay vampires, it demonstrates perfectly how the band harness an eclectic range of influences to create their own unique sound. in support of this release nova static toured the country. highlights included performing on the electric arena stage at electric picnic, launch nights at kavanghs and whelans, supporting killing joke, little comets, dinosaur pile up, ham sandwich and more, tv appearances and much much more. nova static continue to tour and are writing new material for their second e.p.